Ski & Ride for Free | Fit Families | Kids VT - small people, big ideas! This winter, members of an exclusive club will ski and ride for free at Vermont's alpine resorts and cross-country skiing centers. To collect their complimentary tickets, all they have to do is flash their passports — their Ski Vermont passports, that is. And only a select group of outdoor enthusiasts are eligible: The ones who are currently in fifth grade. 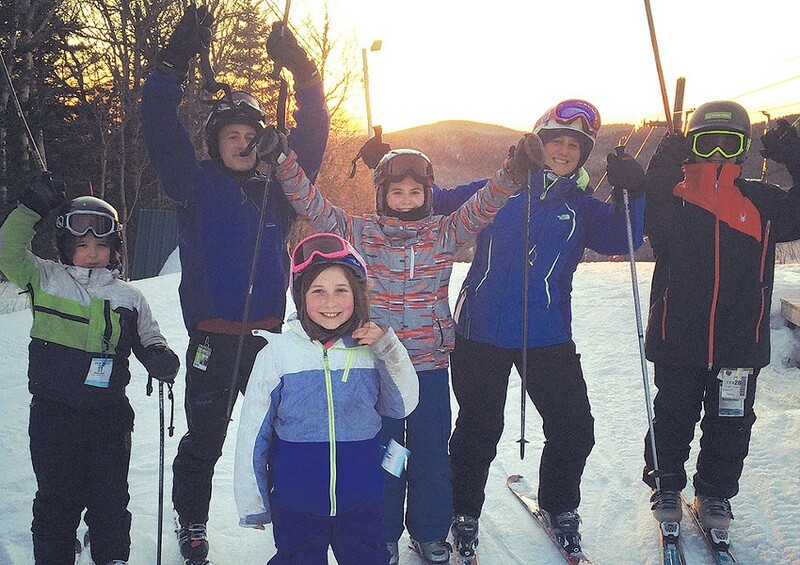 Ski Vermont, a nonprofit trade organization that represents member resorts, runs the Fifth-Grade Passport program, which has granted 21,000 passports since it started in 2000. Alden Tebbetts of Cabot had a passport last year. He used it to ski more than 10 times at five different alpine resorts and one cross-country skiing center. "I learned to ski a lot better in different snow conditions and on different terrain," he says. The pass also boosted his sense of responsibility according to Alden's mom, Vicky. "He stored [his passport] tucked into his helmet, along with his goggles, in the bag so he never ran the risk of leaving it in a pocket," Vicky says, adding that he never once forgot it at home. "It was pretty frayed by the end of the season." Although Alden already knew how to ski, Vicky says her family's participation inspired his younger sister, Adelie, to learn. She'll be eligible for a passport next year. "We had so many memorable days," Vicky says, remembering how they spent some leisurely weekday afternoons on the slopes, bumped into friends on weekends and even enjoyed a subzero day at Smugglers' Notch. Their favorite run of the season? The final one — a cruiser on Bolton Valley's Cobrass when late winter alpenglow illuminated the snow, sky and surrounding hills. Thankfully, it's much easier to obtain a Fifth Grade Passport than one that proves citizenship. Parents can apply by mail or online anytime between December and March, pay an $11 processing fee, and receive the passport by mail two weeks later. The passport booklets have a slot for the holder's photo and signature, along with a bar code that gets scanned at ticket windows. Equipment rental is not included. The passport program gives many kids access to a sport that can be cost prohibitive — a one-day lift ticket for 6-12-year-olds at Stowe Mountain Resort, for example, costs $95. But it also benefits Ski Vermont resorts. Local kids aren't the only ones eligible for the program; 71 percent of passport users come from out of state. That's good news for ski areas, since a passport holder must be accompanied by an adult season-pass or ticket holder. Vermont farmers also have something to gain. Ski Vermont uses the $11 processing fee to cover printing, mailing and online processing fees, and donates any overages to Vermont farmers. Last year the organization gave $16,365 to the Keep Local Farms Fund, an initiative of the New England Dairy Promotion Board. Why farmers? "The ski and ride industry is a community that connects with the landscape," says Sarah Wojcik, Ski Vermont's director of public affairs. "Farmers are a part of that landscape." Essentially, though, the program is about getting kids onto the snow. "It's a great age to learn," says Wojcik, "and to encourage exploring." And getting kids on the slopes early also increases the chances that they'll get hooked. As a sixth grader this year, Alden is no longer eligible for the passport. But he still has something to look forward to — his family purchased season passes for the first time ever, to Bolton Valley Resort. Visit skivermont.com for more information about the Fifth Grade Passport program. Fill out a simple application and pay a nominal fee — it's all downhill from there.